Despite the fact that winter landscapes are not as bright and diverse as summer ones, there is also something fascinating and serene. But when photographing in cold weather, you need to take into consideration several important winter photography tips. Before you go out, be sure to read the camera's manual to find out which temperature limits it has, and when it is better to refrain from winter photo session. Even if the weather allows you to use the camera, take some precautions – in addition to the camera case, use a plastic bag with a zipper. Be sure, you will definitely need it when you enter a warm room. First of all, place the camera into the bag, and then leave it in the cover for a couple of hours, until the camera warms up to achieve the room temperature. A plastic bag with a zipper, in this case, is necessary to prevent condensation. Also, to avoid condensation, it is not recommended warming the camera under your clothing. If you spend much time to make perfect photography, the camera will freeze, and trying to warm it under your clothes, instantaneous condensation will appear on the camera both from outside and inside. Throw few bags of silica gel in the camera bag, this tip will help you to fight the condensate. It is not always available, so you can use a conventional plastic bag with holes for the lens and viewfinder. 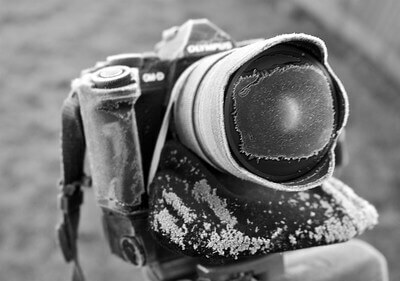 In case of snow on the camera, do not blow it away, because it melts, and moisture can get into the camera and disable it. It is better to take it off with a brush or glove. If the low temperature did not scare you and you decided to make a lot of photo shots with beautiful winter landscapes – you will have to carry with you some additional batteries, so that the low battery charge cannot spoil your plans and mood. The battery life in winter is much lower. Extra flash card, as well as extra batteries in a warm place, best in the inner pocket of your clothes, will definitely save your day. The technique of winter photography has to evaluate the current climatic realities. The background snow creates a back light effect, and it can reduce the detailed image of the main object to the level of a silhouette. But sometimes, a spontaneous silhouette solution turns out to be unexpected and successful. 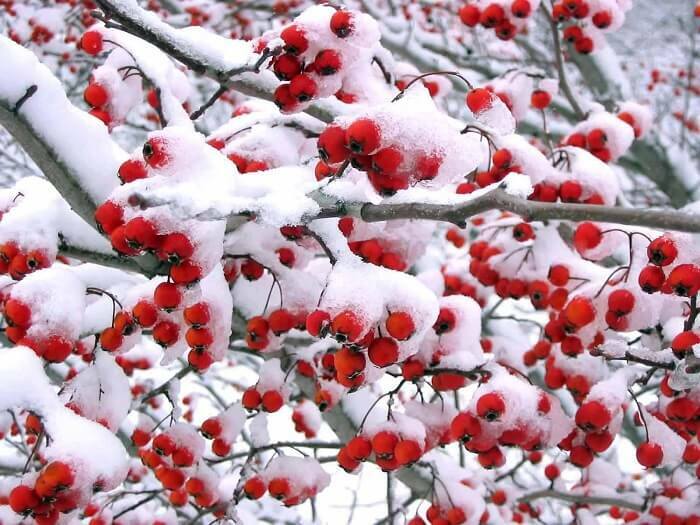 Color monotony of winter often inspires photographers to black and white outdoor photo shots. In terms of shape and composition, black and white landscapes are very attractive, but, nevertheless, the vast majority of landscapes today are in color. Winter colors with snowy scenery can be just amazing. Nature, despite the external coldness, demonstrates lovely romantic mood, using the right camera settings. 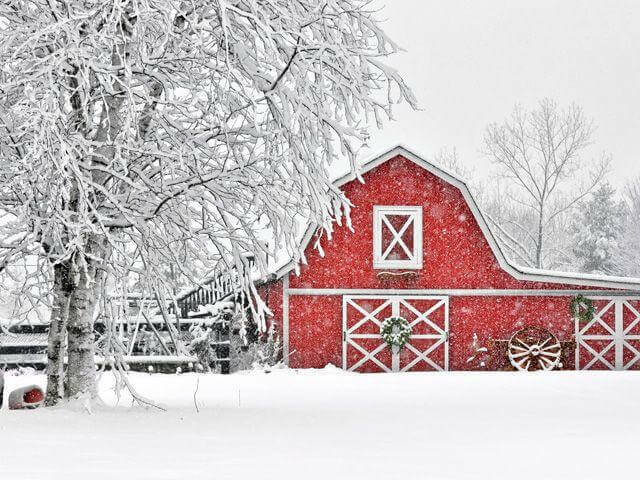 The most exciting beauty of winter is manifested in a snow photography of a landscape. The texture of snow is able to present a lot of abstract subjects. And sometimes winter creates remarkable patterns. One of the most difficult moments while making picture in the snow, is the reflection of light from a bright, white, snow-covered surface. The available amount of light will overload the sensor of the camera, because of which, it will incorrectly set the white balance value, and you will get a dull gray image or image with some distortions. 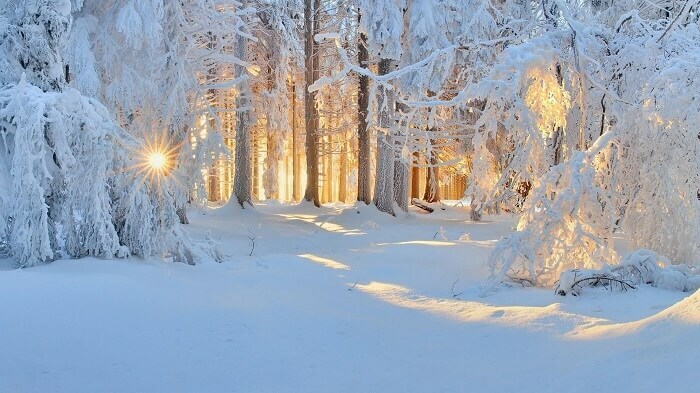 Use natural light in winter. Days are getting shorter, so it's important not to miss those perfect moments to take good pictures, though night photography can impress as well. Watch out the weather forecast, because good lighting will make your pictures deeper and detailed. The advantage of winter period is that it is easier to catch the ‘golden’ time of sunrise and sunset. So, if you have a sunny day, try to squeeze the maximum out of the warm light that the sun gives during the rise or set. This period is ideal for winter portraits! Of course, cold weather on a winter morning may not seem very friendly at all, however, with a lucky coincidence, this time of a day can give photo opportunities that you can rarely find at any other time of the year. The temperature and humidity of the air will greatly affect the shooting conditions and the fog itself, but if you manage to press the shutter button in time – a great shot will be right in your hands. Speaking about winter photography ideas, natural objects like winter berries or autumn leaves can become a perfect source of a splendid color. The guarantee of getting interesting family photos in the snow is to engage children in the process. 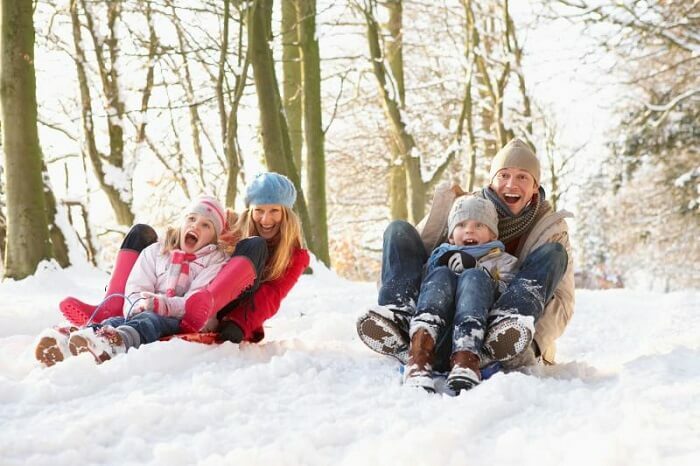 If a photo with children is planned in the park, ask the child to make a snowman or play snowballs. Professional photographers recommend prepare costumes for children. In cold winter period, you can imagine yourself with original hats in the form of beasts, warm bright scarves and funny gloves, creating great photo background. Among all the tips for beginners, the crucial is taking care of your camera and photos, do not forget to take care of yourself. 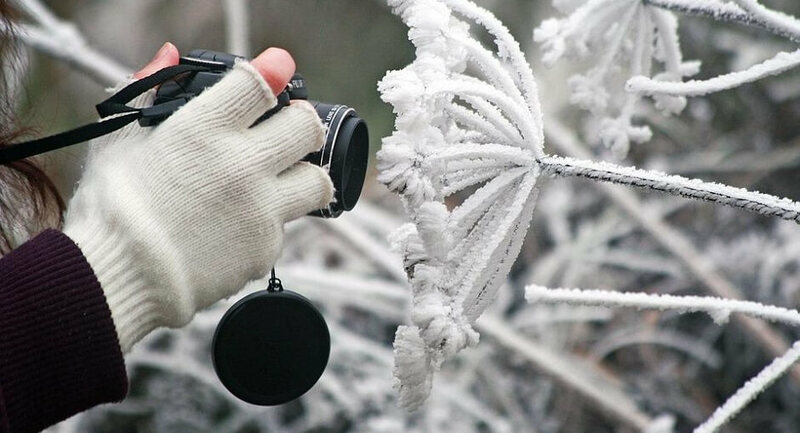 Choose proper clothes and shoes that will help you spend more time in the cold and help make breath-taking pictures that will become masterpieces.